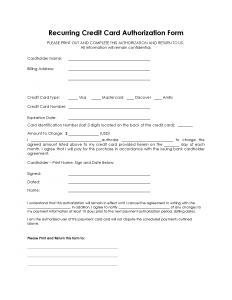 The attached form is a a blank/generic authorization for recurring (Monthly) credit card use. This form can be used when a company is looking to obtain the recurring authority to charge a credit card by a fixed amount each month. The authorization is for a indefinite period of time with a defined method to terminate the authorization provided in the form. 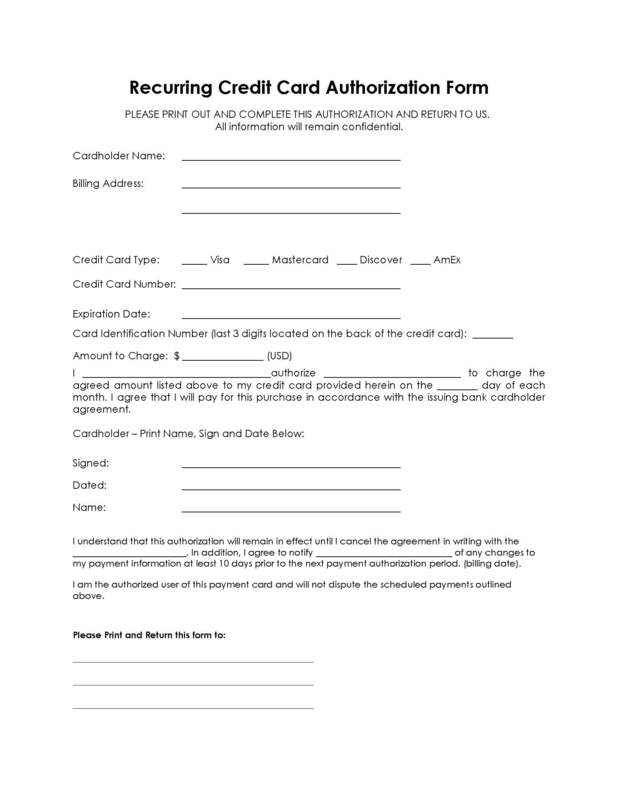 Need another form? Feel free to contact us and we’ll do our best to locate something for you.